CENTRAL CITY - Anna Margaret Farthing, 89, of Central City, died peacefully on Tuesday, August 9, 2016, at 3:55AM at Diversicare Health Care Facility in Nicholasville. Mrs. Farthing was born on June 30, 1927, in Ruddles Mill, KY and moved to Central City at the age of six. She was the daughter and only child of Roy and Vada Wright. 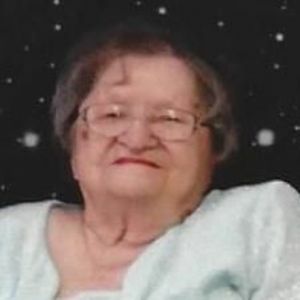 She graduated from Central City High School in 1945 and shortly afterwards began work as a switch board operator for South Central Bell Telephone Company. When Bell switched to dial tone in 1964, she became a full time homemaker. She was a member of New Testament Christian Church in Central City. She was preceded in death by her husband, Bobbie R. Farthing; and grandson, Heath Sanders. She is survived by her son, David (Cheryl) Farthing of Lascassas, TN; daughter Anna Raye (Dale) Sanders of Lexington; grandchildren David (Tonya) Farthing of Lakeland, FL, Jason (Tanya) Farthing of Smyrna, TN, and Hailey Goodwin of Lexington; and nine great-grandchildren. Funeral services will be Friday, August 12, 2016, at 11:00AM at Tucker Funeral Home in Central City, with Rev. Dale Sanders officiating. Burial in Rose Hill Cemetery. Visitation will be Thursday after 5:00PM at the funeral home. Online condolences may be made at www.tuckerfuneralhomes.com. John and I are proud to have known and been friends of Anna Margaret. We know she was a wonderful Mother and Grandmother.